Got reqs with a 77.1 GXE and 59 battles. Quick drop everyone. A long time ago everyone always asked me for my Kommo-o spread and i promised one day to throw it out. Before anyone nags bout the unused EVs check the note in the Pokepaste. Have fun with it everyone. Its literally one of my absolute faves and totally underrated mons. I think the most reasonable choice would be to ban detect, because that way it stops the abusers and it does not limit opportunity because protect has more pp anyways. It is also efficient, since it is not complex and it can join mud slap/etc as banned moves. I’ve heard detect can be used to stop imprison strategies but I don’t think they can viably exist to begin with. Uselesscrab has decided to step down from the council. Thanks UC for everything! Quote will be taking the council spot. Welcome aboard! 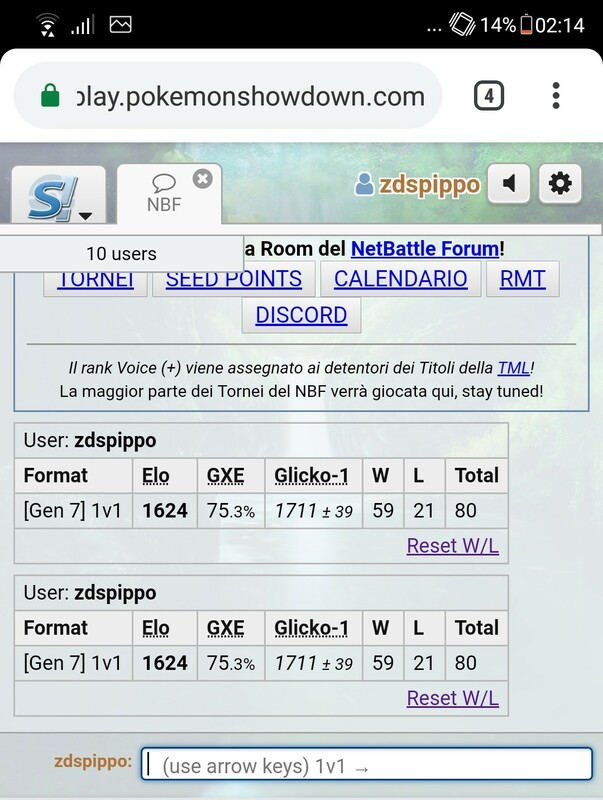 Wtf is Zeraora doing at the top, it’s got quite a bad winrate. Not great lel, stop using it. Aggron really stand out for winning all of its 6 games, being quite a reliable team mate. Like, the whole non-fire physical meta loses to it p much. Don Pham and Aegislash had an excellent run this time, winning the majority of their battles. Dragonite was very disappointing for how ‘good’ it is now, with on 20% winrate. Victini And Kommo-o really stood out for winning all those with their respective nukes. K now I’m bored there are too many cteam mons here. These usage stats definitely are not right. I remember very distinctly Osra using nihilego twice, while on the usage stats it say once. This is only the first mistake that I saw. Please redo this and make sure everything is correct. Um I copied and pasted off GL Volkner’s usage stats in that thread, so like, how was I meant to know! If you just copy/paste without trying to figure out if it was/still is valid, then you really can't blame anyone but yourself. Also, that was a little rude, being confrontational isn't going to help. :( Perhaps next time, try telling them what you did and state that you honestly didn't know it was wrong. Being upfront while still being courteous is always good. A minor issue has come up with casting votes: Because I'm a badgeless loser, I cannot get more than 15 people added to a private smogon conversation at a time, so instead, please message me your vote via private conversation on smogon. 2. Under "Recipients" type in "Osra" and click on the icon that has my name and profile picture on it as it appears. 3. Type in your vote, reasoning for your vote (if you have any), as well as your personal thoughts on the reqs used for the suspect test (how they compare to the Mimikyu suspect reqs of 75% GXE within a minimum of 100 games, whether they were too easy/hard, etc). 4. Click the "Start conversation" button at the bottom of the screen and your vote will have been submitted! Fortunately (albeit indirectly), voting through smogon pm is about as close as we can get to proper blind voting, so that way votes cannot be swayed or bandwagoned through any means other than proper discussion. I apologize for not having thought of this in advance. The suspect post will be edited to reflect this change. Good luck to those still trying for reqs! Edit: GL Volkner has only released the Stage 1 Usage Stats of the WCOM. The Nihilego games were in Stage 2. Reqs on ShyomZDS, 75.1 GXE + 61 games, 136.1 total.